A campaigner has launched a petition to get Google to officially recognise Epilepsy Awareness. 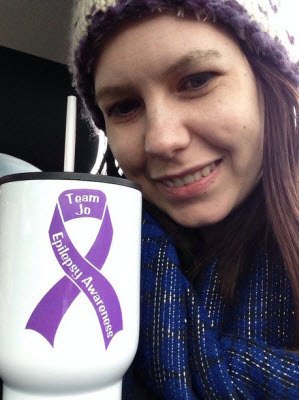 Jo Mumford, who has epilepsy and runs the Team Jo Epilepsy Foundation to raise awareness and funds for treatment and research, is asking the internet giant to change its home page to incorporate a purple ribbon. Epilepsy affects over 65,000,000 people worldwide and causes 1,000 deaths in the UK alone each year. We’re asking Google to create a Google doodle to raise awareness of the condition which still has so much stigma attached because people don’t know about it as much as other conditions. Millions of people use Google every day and this would reach out to people much more than any epilepsy charity could ever hope to do. For the millions of people worldwide who suffer from epilepsy, it would show them they are not alone. Has Banksy struck at Catching Lives in Station Road East in Canterbury?